When Volvo presented an open 2-seater sports car with a body made of fibreglass-reinforced plastic in 1954, it was something of a sensation. However, the car did not go into production until 1956 and, after a great many problems, production was wound up in 1957. By this time, 67 cars had been produced. From the beginning, the idea was that this car would only be exported. 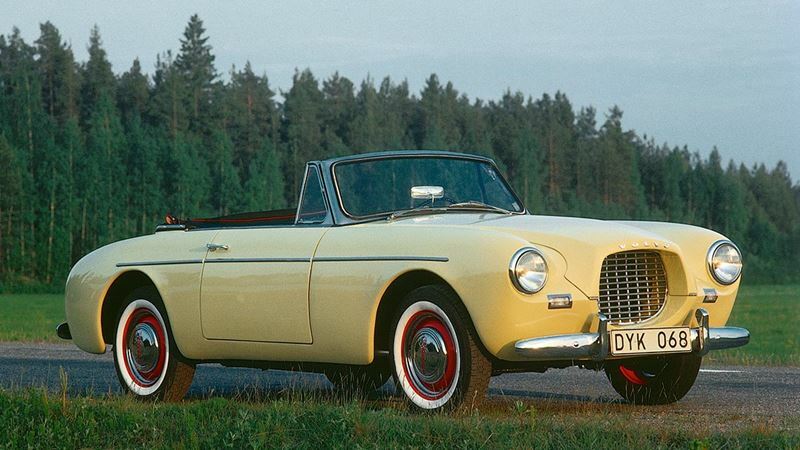 A convertible was not regarded as wholly suitable for the Swedish climate. However, in spite of this, most of the cars were sold on the Swedish domestic market. The 70 bhp engine from this model was used in the Volvo PV444 for the US market in 1957. It gave the PV444 good performance and the model as sold as "The family sports car".